General photography discussion Please look for a specific board to start your thread but if you can't find an appropriate one, post it here. Very similar feature set to the E-M1ii, but bigger and uglier (IMHO). The viewfinder looks better than the E-M1ii, but I can't see much else that's on offer over the Olympus camera. Not on my radar, but yet more proof that m43 is alive and thriving! I think the G9 makes sense if you want to take advantage of the dual IS with lenses such as PL 100-400. It will also appeal to those who cannot come to terms with the Olympus menu systems. It has one or two desirable features missing in the E-M1 II, such as USB charging and dual UHS-2 SD slots. The viewfinder sounds better too and crucially it is £350 cheaper than the E-M1 II. If the autofocus is as good as Panasonic say it should be a real competitor to the Olympus camera but I wonder if there are sufficient potential customers to support two 'professional' cameras which are so similar in specification. 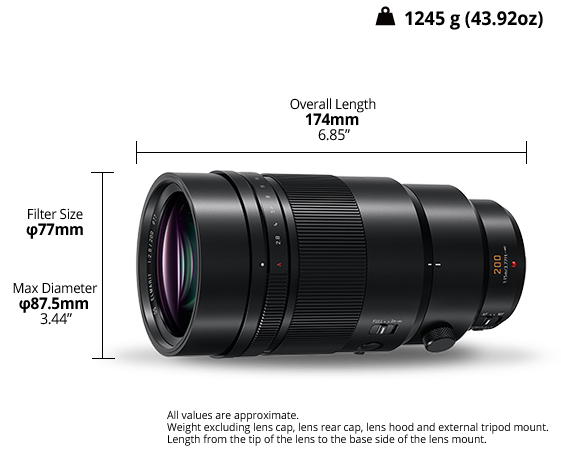 I haven't seen much in the press on the 1.4x converter (DMC-TC14) that comes with the new 200mm F/2.8 lens. From the picture it looks remarkably similar to the Olympus 1.4x. There is also a DTC-T20 2x converter on the panasonic website. With the absence of any Olympus 2x converter will this work on the Oly 40-150mm? I wonder if the protruding optic on these is necessary because of the short flange distance of the MFT standard - anyone know? It would have been nice to have a 2x TC that could have been put on any lens - the 12-40 PRO and the 75mm spring to mind as candidates. If you learn something new each day then that is not a day wasted. 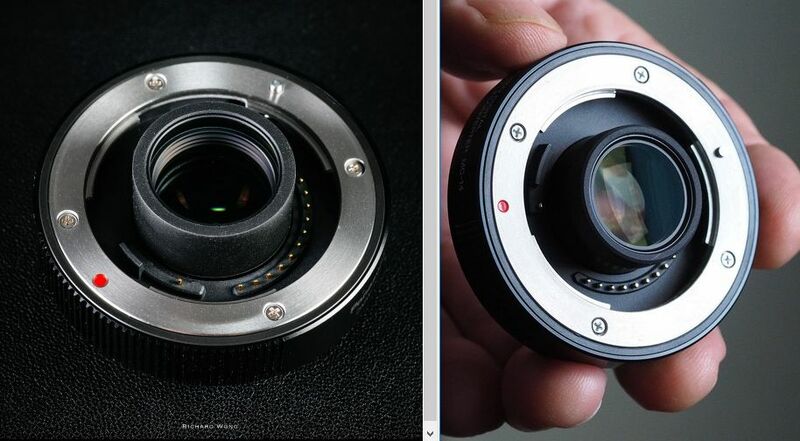 Will the 200mm Lens stabilisation work on an Olympus body ? It looks like it would probably fit, but the extra converter contacts are in a different position from the Olympus ones so the camera would probably not know it was fitted and so would not adjust IBIS etc. You would think it should work the same as the Pana 100-400mm does. Lens IS is fine or IBIS is fine, but it won't sync the two like it does on later Pana bodies. Thanks Andy. I went and looked for some pictures of the new lens and teleconverter and I fear you are right. Found some nice pictures here. As the extra converter contacts are on the converter-lens interface and not the camera-converter interface you should be able to use the panasonic 200mm lens + panasonic converter on an olympus camera but not mix lens and converter manufacturers. So much for standards. Seems like a new record price for a m43 lens - though, to be fair, this includes a x1.4 TC - so you can achieve 280mm at f4. I guess it might make sense for some people as a second body to their E-M1ii especially if they owned a 100-400, and the combination would work out significantly cheaper than a second Oly body plus the 300 f4. I do wish Oly had in-body charging. Amazingly useful and more compact when travelling. Some of these u (my poor offering for the Greek letter mu) cameras seem to be getting bigger by the iteration. This 'monster weighs-in at 658g, apparently (with or without battery?). By comparison the Leica M240 weighs 680g with a battery, and has brass top and bottom plates. Go figure. 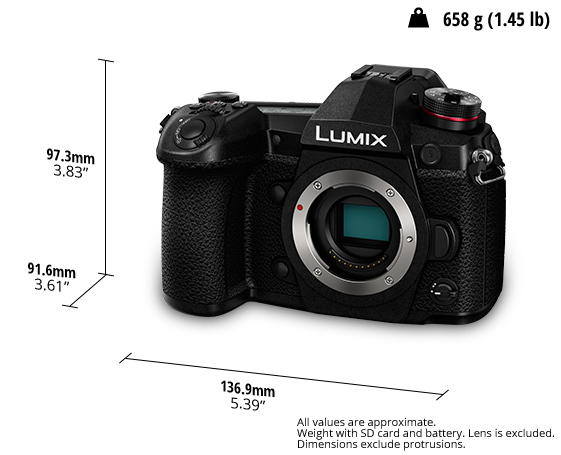 The weight of the G9 seems to indicate that Panasonic are actually going in the right direction given that the GH5 weighs an enormous 725g. Just one of the reasons I chose The E-M1ii. It's so easy to google 'micro' to get the character 'µ'. Yes I know, I used to write technical reports. But now I'm retired I use an iPad for incidental, trivial correspondence. M4/3 can’t win on size, of course, by critics’ usual motivated reasoning. Tiny bodies like the GM series are ruled out by men (always men) who need Big Cameras for the usual compensatory reasons. There simply is a natural minimum size where a body plus lens of choice feels too small for an individual and there isn’t enough real estate to include enough buttons and dials for professional-style use. This leads to criticism that the size advantages are minimal, and bodies like the quite compact Nikon D750 are cherry picked as a comparator for the E-M1ii. Now, we all know that the 750 is a lumbering beast with sluggish focus and slow frame rate and awful LiveView that needs massive telephoto lenses (but it does produce great images, slowly, once you learn how to use it). The true functional comparator for the M1ii is the D500, which is relatively massive IMHO. So, the critics don’t win that one since they’re comparing apples with oranges and forgetting the rest of the two systems, but Panasonic do have a problem with both size and weight of their two most recent cameras. Positively porky, I’d say.